We are grateful for your advanced booking. Call for more information, get a nice deal on your party or your event. 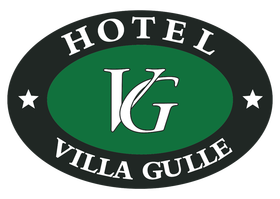 Hotel Villa Gulle wants to play an important role in our local community. And we work hard to show how talented artists we have in Nyborg. We hold regular exhibitions of the local artists works in painting. We change the exhibitions 3-4 times a year. The exhibitions is shown in our three lovely dining rooms - so you as a guest have the opportunity to enjoy the beautiful works. And should you want to bring one with you home - so we pack it securely or you and settles on artists' behalf. Gulle Simonsen received in 2009 Nyborg Tourist Associations Tourism Award for her efforts for tourism in Nyborg Municipality.